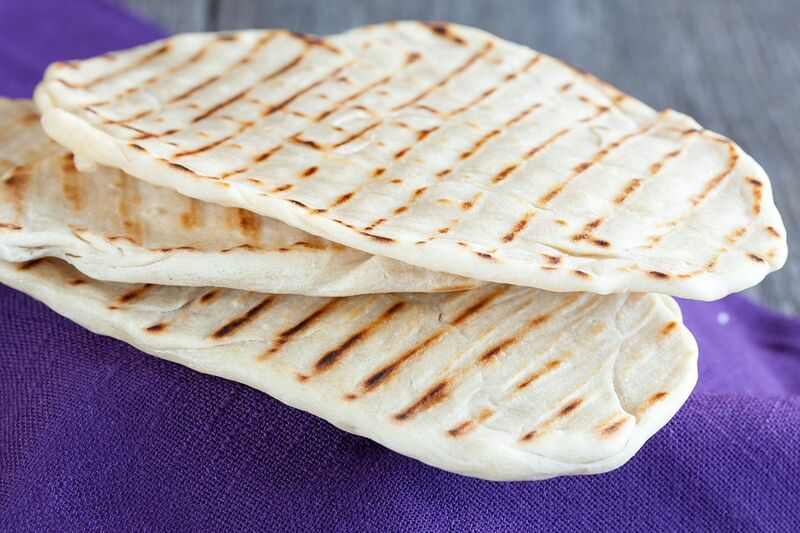 Try this awesome home-made naan bread to go with all kinds of curry. The bread smells amazing, made in a grill pan or oven. Add flour, baking powder, sugar and salt to the standmixer bowl, or on your work surface if you chose to knead by hand. Whisk the egg together with the warm water until it forms a smooth mixture. Carefully pour the mixture little by little into the standmixer bowl while its running on medium speed. Keep on mixing until a nice and kind of heavy dough has formed. Create a dough ball with your hands and place it back into the bowl. Cover it with a warm and wet, not too wet, kitchen towel and let the dough rest for about 30 minutes. Drizzle some sunflower oil on your kitchen countertop and flatten the dough with your hands. Knead the oil into the dough until it has all disappeared and the dough becomes elastic. Divide into 10 little dough balls. Again cover it with the warm and wet kitchen towel. But this time you let them rest for a little longer, about 1 hour. Knead every little dough ball one more time and roll it into a flat bread. Not too thick, but not too thin as well. Heat your grill pan until it’s really hot. 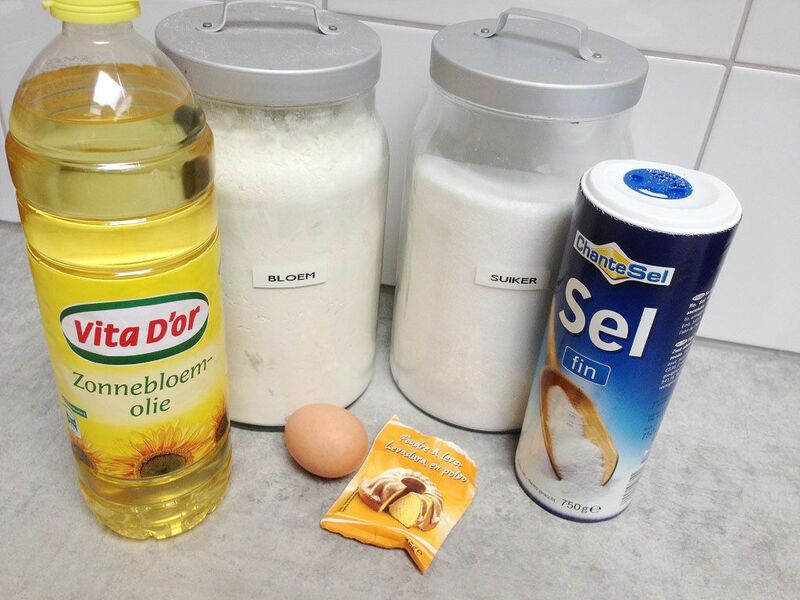 Brush some extra sunflower oil on both sides of the bread, using a silicone kitchen brush. Grill the breads for about 2 to 3 minutes on each side. It’s also possible to bake the naan bread in the oven. Brush some extra sunflower on both sides as well. Heat the oven to 230 degrees celsius or 450 degrees fahrenheit. Bake for 5 minutes, or until golden brown. Don’t bake them too long, the inside should be quite soft. Serve the naan bread with curry, such as our coconut chicken curry recipe or our chicken katsu curry recipe. 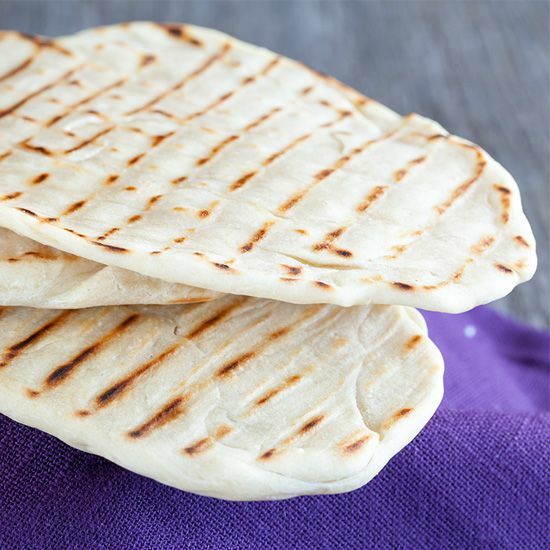 You can freeze the naan bread and when you take it from the freezer, simply drizzle a little bit of water on the bread and put it in the oven again. It will amaze you how tasteful it will be, like you freshly baked them again. I’ve always wanted to try making my own naan! We use it all the time as a pizza crust (there goes the pizza obsession again) :-) Can’t wait to try it- thanks for the recipe! 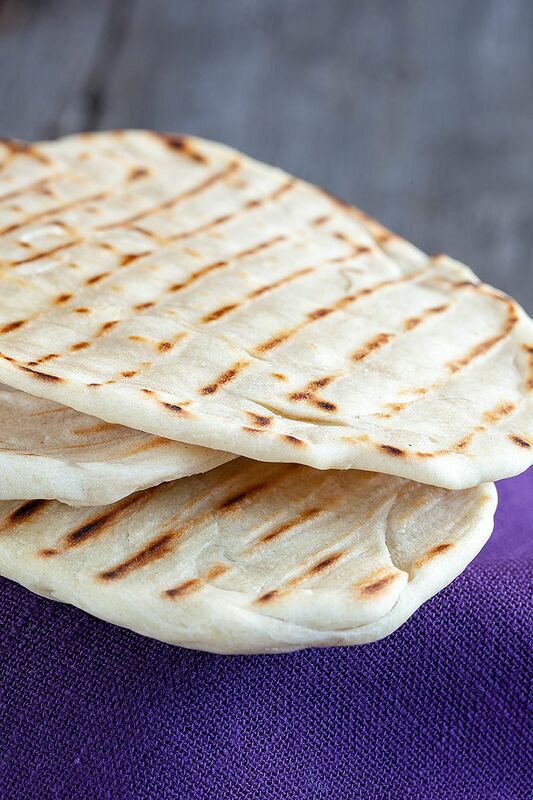 We’ve never used naan bread as a pizza crust before, we might just try that out one day! In the Naan bread recipe it calls for 3dl of warm water what measure is dl? not familiar with this measurement can you please help me understand, and maybe you can E-Mail me a metric conversion table Thank you very much. Hi Maltajoe, we’ve put up a conversion and measurement chart right here: http://ohmydish.com/measurement-and-conversion-chart/ You can find the conversion from dl to cups in the “converting metric to imperial” section.